Nothing tastes better than fresh produce! 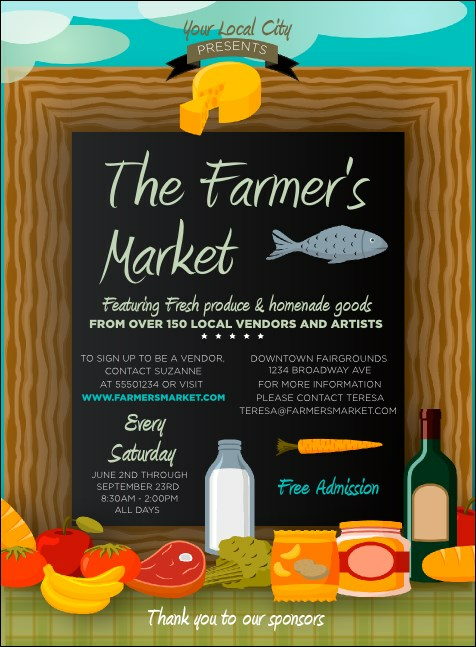 Support local farmers when you send out the Farmer's Market Invitation in advance. Bright illustrations of produce, dairy, and wine line the bottom of a chalkboard that lists event details. This template coordinates with tickets, flyers, and posters in a Matching Event Kit. RSVP to your community events with the right invitation from TicketPrinting.com.